Recent advances in science have demonstrated that human learning and thinking are highly social processes, governed by the learner’s ability to manage attention and effort. Drs Edmund Gordon and Cynthia McCallister propose an approach to education that centres the student in a dialectical model of pedagogy that integrates assessment, learning and teaching. Within their model, the loci of learning are the wilful, goal-oriented, socially-engaged processes that empower learners to develop intellective competencies. As rapid developments in technology reshape society, it is critical that educational systems change in ways that offer all students fair access to appropriate and sufficient educational opportunities. For centuries, education systems have been structured around classical transmission views of learning, which portray students as spectators and charge teachers with the primary responsibility for their learning. Teachers provide information, and students learn by receiving it. Within this framework, assessment OF learning has been focused on measuring the end result of the transmission process, rather than capturing the process itself. However, current research in human thinking and learning discredits this model in favour of a more active and social role for learners. Particularly in STEM fields – science, technology, engineering and mathematics – assessment focuses heavily on evaluating the memorisation of facts, rather than illuminating the mental processes that are associated with the intellective competencies that are an aspect of scientific thinking, such as the ability to engage in logical reasoning, the capacity to appreciate multiple perspectives, the ability to make independent judgements, and the inclination to ask questions to improve understanding. These intellectual competencies prove more valuable than memorisation, and educational programs that nurture these abilities produce independent and capable learners with the capacity to contribute to society at all levels. Evidence showing that current models often work to perpetuate racial and socioeconomic inequalities between students underscores the need to shift away from traditional educational strategies. Innovative educational systems that capture and build upon diversity within a group of learners, which identify points during the learning process where a shift in teaching strategy could better contribute to intellectual development, are a means to reduce inequalities. 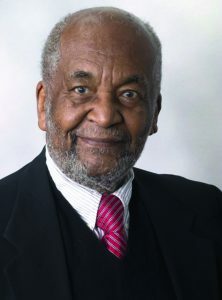 Dr Edmund Gordon, a leading expert on issues of race, privilege and intellectual development, has spent his career attempting to both understand the causes of gaps in achievement between disadvantaged and advantaged students, and develop strategies to close these gaps. He has argued that education, to be equitable, should provide every learner with opportunities that are sufficient to enable them to meet high learning standards. Dr Cynthia McCallister, a protégé of Dr Gordon, has focused her career on developing an educational system that meets this aim. 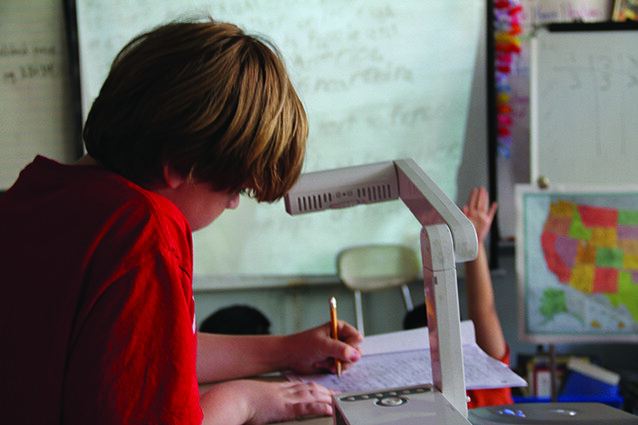 Her model, Learning Cultures (www.learningcultures.net), shifts the dominant teacher-centred paradigm toward a more student-centred model oriented around the social worlds of learners. It is a rich way of conceptualising pedagogy as a dialectical integration of learning, teaching and assessment, engaging learners in socially-meaningful activities and benefiting them at every level of mastery. Learning Cultures activities tap into students’ intentional states, enabling them to pursue learning goals that flow from their passions, beliefs and desires. By providing every learner with the experiences that they need to succeed, Learning Cultures creates more equitable conditions for students from disadvantaged backgrounds, and is a promising way to approach the challenge of educational equity. Among the highest goals of modern education are to level the playing field for students coming from disadvantaged backgrounds, to increase their access to high-quality education opportunities, and to increase diversity in academia and the work force in STEM fields. Despite many efforts to increase participation in STEM fields among diverse groups, dropout rates among women and minorities are consistently higher. Most current educational models fail to assess inequalities at their point of origin when learners experience difficulty in the learning process. Outside of the classroom, disadvantaged children are less likely to interact with people with academic experience, decreasing the perceived relevance of education in their lives, and reducing opportunities for incidental learning that are often taken for granted in privileged households. These populations frequently have limited access to rich learning opportunities, are more likely to attend under-resourced schools, and have fewer interactions with peers that have more developed academic understanding and vocabularies. In short, they have had more limited opportunities to exchange mental states with others about canonical forms of knowledge that formal curricula are based upon. This last point is particularly relevant to STEM fields, as they have a distinct mode of communication that relies heavily on specialised language, categorisation and logical relationships. This unique way of understanding and communicating about the world is essential to scientific thought, and is best learned through social interactions. Such interactions are often less readily available to disadvantaged children. Students who begin the learning process at a disadvantage due to limited experience depend on opportunities of schooling to close the gap. Dr McCallister’s innovative approach to classroom structure holds the potential to transform modern education in a way that benefits children from all walks of life. 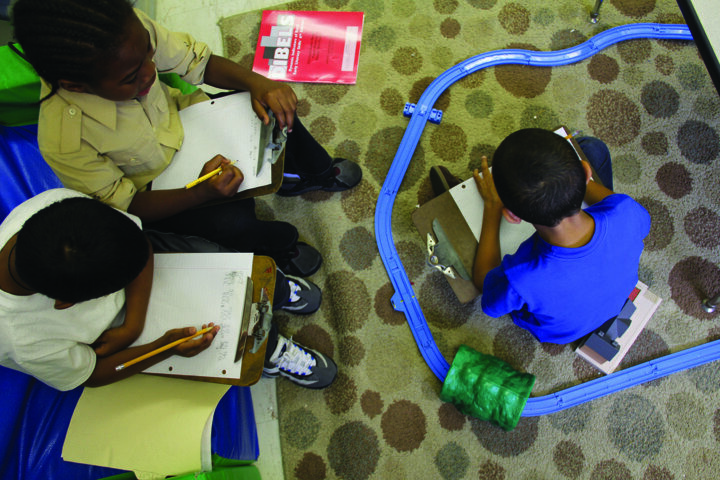 Her process involves three critical pieces: assessment and instruction FOR learning, oriented on maturational processes that support development; social collaboration, so that learners may use others as resources for learning; and self-determination, so that learners themselves can become more active and intentional in their learning. In many ways, school is a child’s gateway into society. It grants children opportunities to develop nuanced social skills, expand their ways of thinking, and gain access to new realms of knowledge about the world at large. When the educational system succeeds, it produces great thinkers and productive members of society. When it fails, it hinders children’s development in both intellectual and social realms, and functions on a broader scale to stratify society. Equitable models of education are especially critical at a time when inequalities are growing at every level of society. Assessments are critical to evaluating the effectiveness of any learning program. However, traditional educational assessments OF learning, which focus only on the end result – whether the material has or has not been learned – fail to provide information about the pedagogical process and how students and teachers interact to bring about learning. Relying heavily upon memorised material, these assessments fail to provide insight into how students use and develop the intellectual abilities that the educational process is aiming to cultivate. With an exclusive focus on assessments OF learning, teachers are encouraged to teach to the test – seldom an effective strategy for learning and its integration into mental abilities. With a neglect for assessments OF learning, educators miss opportunities to shift teaching strategies and encourage the learning process at critical points of student need. While end-point assessments OF learning might capture a student’s ability to retain information in the short term, they fall short of demonstrating how learners seek to control the mental processes that enable the material to be applied and how teachers support the learning process. Further, assessments OF learning assign students a status level related to how much knowledge they have mastered, reinforce existing inequalities. Drs Gordon and McCallister propose an assessment system that focuses both on the learning process as well as the ultimate result. Dr Gordon, Chairman of the Gordon Commission on the Future of Assessment (a group of renowned scholars who proposed a vision for assessment that is fair and targeted toward the improvement of the quality of education in the U.S.) advocates process-focused assessments that give students and teachers the opportunity to engage in generative learning – learning that shifts pace and strategy with the unique needs of the students. 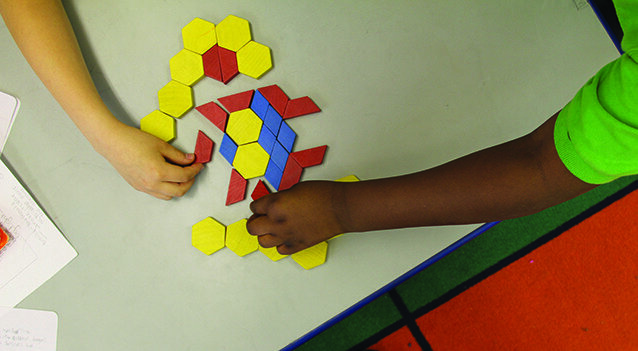 Ongoing assessments of the learning process, rather than assessments focused only upon learned material, give educators the ability to describe and shape a given student’s thinking patterns. These assessments offer insight into how a student handles new information, takes action and ask questions when they are confused, uses logical reasoning abilities, has tolerance for other perspectives, and exercises their ability to form independent opinions. ‘We argue that educational assessments, because they play a critical role in shaping and influencing educational contexts as well as outcomes, can be deployed to catalyse the learning process, helping to bring about the very processes and outcomes they are designed to measure,’ says Dr Gordon. The cultural transmission of knowledge – the ability to share knowledge and learn from others without directly experiencing the source of knowledge – is one of the most unique and special human traits. Social collaboration – the ability to collaborate with others to solve a problem as a group – is likely one of the cognitive adaptations that has allowed humans to evolve into such an innovative and pioneering species. The competencies that enabled our distant ancestors to collaborate to survive are the same that enable thinking and problem solving in modern humans. It appears our brains are uniquely wired to acquire and process information best in social contexts. 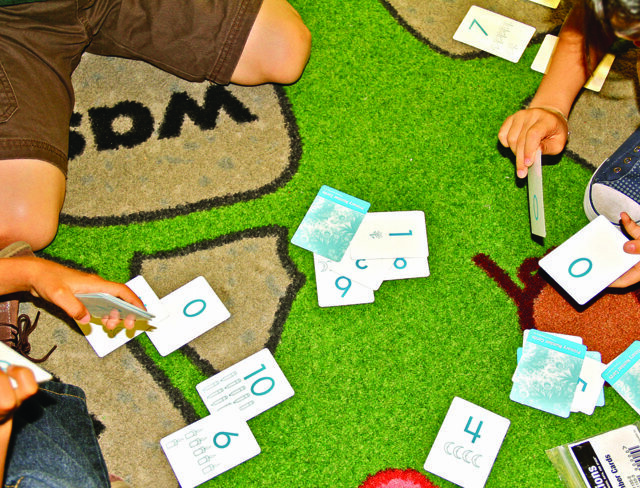 The same is true of children in learning situations – social collaboration can be harnessed to empower learners to work together to form a comprehensive understanding of material through supervised dialogue with fellow students. By discussing points of confusion, filling in one another’s gaps in understanding, and building from each other’s unique experiences and perspective, people working as a team are often able to synthesise information in a deeper way and develop fresh ideas and solutions. When individuals work cooperatively with others to solve a problem, they often learn far more and come up with more novel solutions than if they had attempted the same challenge on their own. Unlike the classical transmission model of teaching, where the instructor presents material with limited interchange between students, social collaboration provides benefits to students at all levels of mastery. Students with a strong command of the material reinforce their knowledge, develop depth of understanding, and cultivate social-emotional competencies, while weaker students gain clarification specific to their questions and develop confidence articulating the material. Further, as inherently social animals, we crave attention and engagement with our peers, and so these interactions are met with much higher motivation and enthusiasm than being called on in class by a teacher. Despite being highly social creatures, humans also possess a strong drive for autonomy. We are motivated to act when we feel in control of our lives, and quickly grow despondent when we feel helpless to influence our situation. Traditional educational environments place the responsibility for learning in the hands of the teacher, treating education as a temporary intervention in students’ lives, rather than a lifelong process motivated by the student. This is reinforced by assessments that focus material at an end point, rather than using assessment to provide an opportunity to correct and clarify misunderstanding during the learning process. This is particularly important for disadvantaged youths, as those who do not feel in control of their educational outcomes are much more likely to perform poorly in their learning endeavours. Dr McCallister’s Learning Cultures system instead works to cultivate self-determination and individual responsibility in students. Students are given a framework, materials, and curriculum objectives, and encouraged to work towards their learning objectives at their own pace, utilising social collaboration to reinforce and expand their understanding of the concepts they are learning. This framework gives each student agency over their own education, while still offering enough structure and support to ensure that material is completed. In our modern environment of near constant information overload, the ability to self-regulate is perhaps one of the most critical competencies a student can learn. The Learning Cultures system facilitates autonomy and self-organisation in a manner that engages and motivates all students, including those from diverse backgrounds. The relationship between diversity of perspectives and the advancement of knowledge in a field cannot be underestimated – when people from diverse circumstances work together on a problem, their unique perspectives build upon one another and converge into a more profound solution than any one person could ever devise on their own. STEM fields tackle humanity’s largest problems, and solving our paramount challenges demands teams of intellectuals from varied backgrounds to collaborate for the greater good. 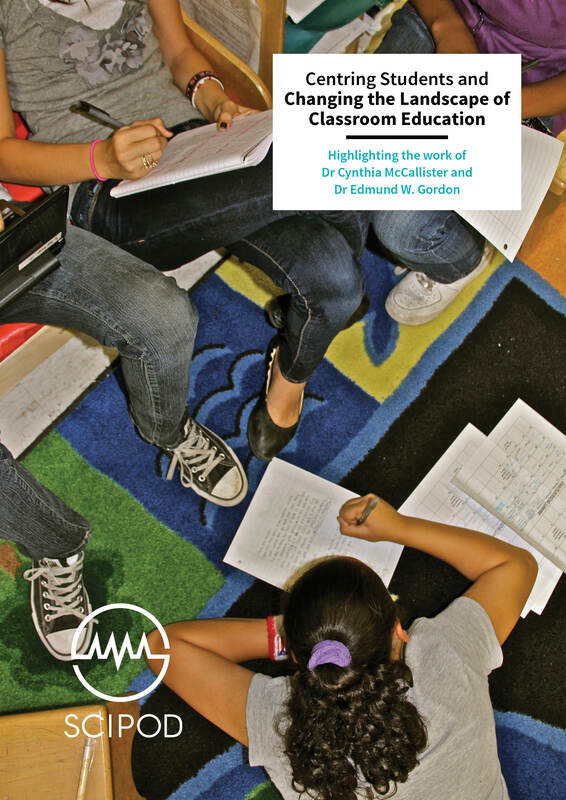 Drs Gordon and McCallister propose an approach to education that creates a more equitable environment for learning in STEM, while simultaneously cultivating strong communicators, critical thinkers, and self-driven learners. Dr Cynthia McCallister began her education at Ball State University with a Bachelor’s in History and Political Science. She continued on to complete her Master and Doctor of Education degrees at the University of Maine, specialising in Literacy Education. 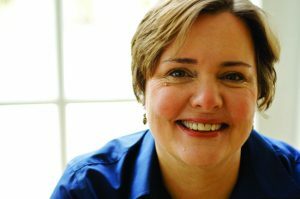 She joined the in the Department of Teaching and Learning, in the School of Education at New York University in 1998, where she currently serves as an Associate Professor. Over the last two decades, working in high poverty New York City public schools, she pioneered Learning Cultures® – a comprehensive education model that has transformed numerous New York City elementary, middle and high schools into some of the top performing schools in the city. Dr Edmund Gordon began his education at Howard University, obtaining Bachelor’s degrees in both Zoology and Social Ethics. He continued with a Master in Social Psychology at American University, completed training in Psychotherapy at New York Medical College, and ultimately received a Doctorate in Education from Columbia University in 1957. During his distinguished career, he has published over 200 papers and 20 books, mentored countless students, and served as a pioneer of equality and reform in education. He currently serves as a John M. Musser Professor of Psychology, Emeritus at Yale University and as the chairman of the Gordon Commission on the Future of Assessment in Education, devoted to leveraging assessment technology to develop effective teaching methods.